Poornima Vijayashanker is the founder of Femgineer and is an avid public speaker who gives talks around the world on topics ranging from engineering to entrepreneurship. She has also given a TEDx talk and hosts a monthly web show called Build sponsored by Pivotal Tracker. Poornima has also been an entrepreneur-in-residence at 500 Startups, a mentor-in-residence at Techstars, a lecturer at Duke University's Pratt School of Engineering, and the founding engineer at Mint.com, where she helped build, launch, and scale the product until its acquisition in 2009. Poornima holds degrees in Electrical and Computer Engineering and Computer Science from Duke University's Pratt School of Engineering. After spending 25 years building software products, Karen Catlin is now an advocate for women in the tech industry. She's a leadership coach, a TEDx speaker, and co-author of Present! 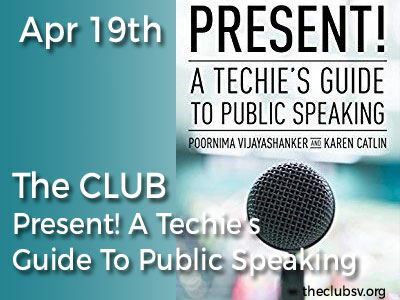 A Techie's Guide to Public Speaking. 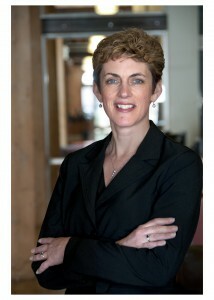 Formerly, Karen was a vice president of engineering at Macromedia and Adobe. Karen holds a computer science degree from Brown University and serves as an advisor to Brown's Computer Science Diversity Initiative. She's also on the Advisory Boards for The CLUB, WEST (Women Entering & Staying in Technology), and Women Serve on Boards. Drinks and Appetizers will be provided by Abbott Laboratories.